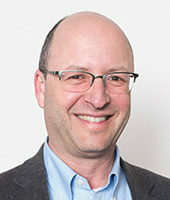 Theodore Sasson is Director of Programs of the Jack, Joseph and Morton Mandel Foundation and Director of the Mandel Institute for Nonprofit Leadership. He has written widely in the fields of diaspora studies, heritage tourism, Israeli politics, American Jewish opinion, American Jewish demography and criminology. He is author of The New American Zionism (New York University Press, 2014), several previous books and dozens of scholarly articles and research monographs. His essays have appeared in The Forward, Tablet Magazine, The Jewish Week, The Jerusalem Post, Sh’ma Magazine and other periodicals. He is a professor (on-leave) at Middlebury College and a senior research scientist (on-leave) at the Cohen Center for Modern Jewish Studies at Brandeis University. Prof. Sasson received his doctorate in sociology from Boston College. Liana Brodsky is the Assistant Director of the Mandel Institute for Nonprofit Leadership. Most recently she served as the Director of Programs at ShalomLearning, a nonprofit dedicated to providing technology-based Judaics and Hebrew curriculum for Jewish educational institutions. Previously, she was the Teen Program Manager at the Jewish Community Centers of Greater Boston, coordinating the Diller Teen Fellows. 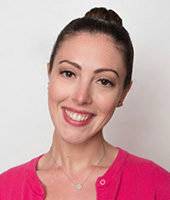 Ms. Brodsky volunteers as a Board Member of Yad Chessed, an organization working to support local Jews in financial distress, as well as with Jewish Big Brothers Big Sisters of Greater Boston. She was selected as one of Combined Jewish Philanthropies “Chai in the Hub” winners; the top 18 most influential young Jews in Boston. Ms. Brodsky received her B.S. in Early Childhood Education/Child & Family Studies and her M.Ed. in Early Childhood Education both from Lesley University. She recently received a certificate in Experiential Jewish Education from Yeshiva University. 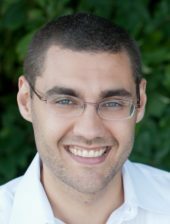 Jonah Hassenfeld is a Program Officer at the Mandel Institute for Nonprofit Leadership. Before joining the Institute, Dr. Hassenfeld worked in a wide variety of educational institutions including a New York City public school, Brandeis University’s teacher education program, and Gann Academy, a pluralistic Jewish High School in Boston. At Gann, he served as Assistant Director of Teaching and Learning, and led several initiatives in research, evaluation and teacher leadership. He writes about history education and the Israel-America relationship. His work has appeared in The Forward, Tablet Magazine, and Sh’ma and in a number of scholarly journals. Dr. Hassenfeld received his Ph.D. in Education from Stanford University.